OnePlus held an AMA (ask me anything) on reddit's Android sub, to promote the recently launched OnePlus 5. But it backfired on the Chinese company. The team which comprised of OnePlus co-founder Carl Pei, and 5 other employees, were roasted by angry users. And we have to admit, the criticism which they were met with, was well deserved. The most noticeable thing in the AMA was that, almost every question about the OnePlus 2 not getting the Nougat update went unanswered. The same can be said about the steady price increase from their first device, to the current one. 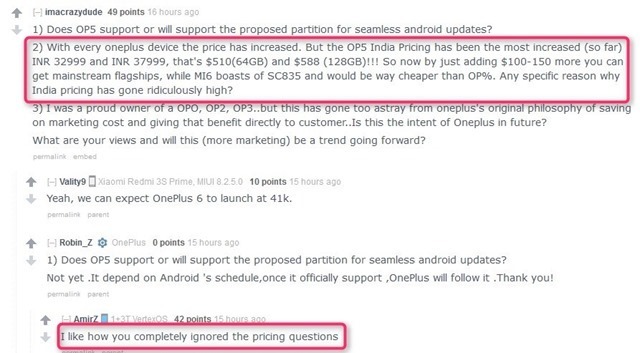 Questions about why the company is slowly moving from an affordable flagship to a price which falls just short of the competition, were completely ignored by the OnePlus team. OnePlus has always priced its devices higher than normal, in India. The OnePlus 5’s USD price should convert to about Rs. 30,800, but it is much higher at about $512. And with OnePlus reportedly assembling devices in India (there have been pictures of OP3 assembled by OPPO in India), we are not sure why the price should be higher. Other questions which went unanswered included issues regarding the OnePlus 3's touch latency, alert slider, camera blobs not released, lack of OIS on the OnePlus 5, and more. 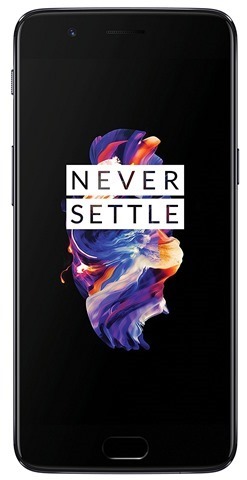 OnePlus’ decision to use celebrities in ads, while claiming it is a small company without resources (one of the resources for abandoning the OnePlus 2 updates), were sharply criticized by users. Also worth mentioning is the fact that OnePlus, along with OPPO and VIVO are rumoured to be subsidiaries of a large company called BBK. Surely they don’t have a dearth of funds, as they claim. The AMA thread has some inappropriate comments. So tread with caution, but you can clearly notice that the OnePlus staff answered very few questions, while side-stepping the most important and critical ones.